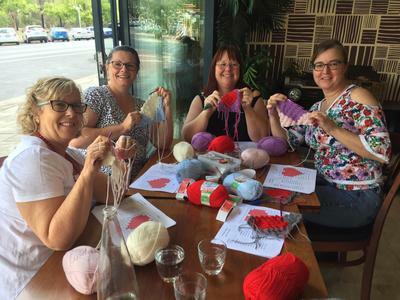 Learn crochet and make new friends. 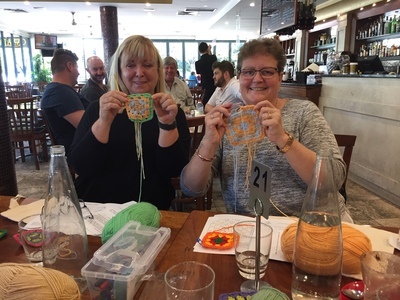 The Adelaide Crochet Club organises crochet classes run by Professional Crochet Instructors for beginners, all the way up to experienced crocheters. 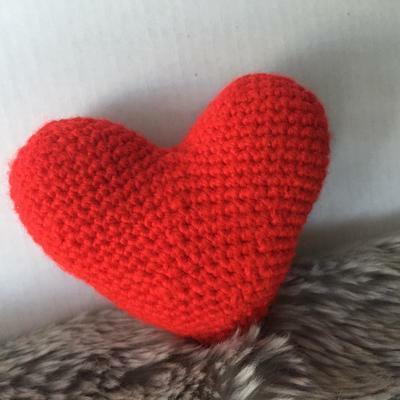 Beginners Class ($59): This class is designed for those who have had little to no experience with a crochet hook. You will learn the crochet basics and terminology and we'll get you started on your very own granny square. Other Classes ($59): Perfect for those who've already done our popular Beginners Class! 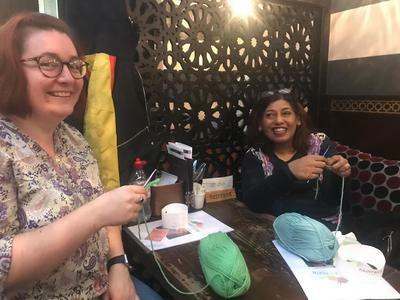 All our classes include crochet materials and instruction. Students will also receive a non-alcoholic drink during the class. I really enjoyed the class, Yolanda was a fantastic instructor and was very patient and supportive. The location was good and it was nice to be able to have a coffee while crocheting! Overall it was a relaxed and fun morning, I've already booked my next class to continue on my crochet journey! Great intro to crochet. Yolanda is an excellent teacher with heaps of enthusiasm, knowledge and patience. I r5eally enjoyed myself after the problem of parking was resolved. The tutor was excellent and easy to talk to and get advice from. A really enjoyable time. also learnt what I needed to know and came away confident that I can attack any project along those lines. Yolanda was a lovely instructor - very friendly and helpful and passionate about her subject! I thought the venue was good though would have preferred to be away from the diners (there were tables at the back we could have sat at) so it was quieter and for the diners too as I'm sure we made quite a bit of noise. Had a great morning and appreciated all the tools were given to us in a useful calico bag. Also like the offer of a free drink too - felt over all it was good value for money. I plan to come to other events. Well done Yolanda for being such a good advertisement for the club. 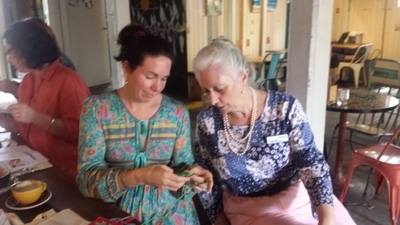 Excellent and patient instructor teaching the basic stitches of crochet. Very informative reference booklet to take home and refer to. Great knowledge of companies and websites to purchase products, patterns and further ideas from. Very well organised. Yolanda is very friendly and welcoming, she gave clear instructions and is very patient. I achieved more than I expected so I am very happy. Thanks Yolanda. I thoroughly enjoyed my beginners class. Abby our instructor was so patient and made everyone feel comfortable relaxed. I can't wait to practice and will definitely be doing another class. I had a great time. Abby was a great instructor and very patient. She answered every question even if it was asked more than once . I thought Yolanda was lovely and very patient! She provided good instructions and was able to spend enough time with each person individually as needed. I’m glad the class size was restricted to eight people too. Enjoyed the class very much. I liked the venue. I was able to learn many new things. Yolanda was very informative. Enjoyed the relaxed atmosphere. Excellent, Kate was wonderful. Took the time to explain and guide. Very enjoyable class - Kate was friendly and knowledgeable. I much appreciated her demonstration of the left handed technique as well so I could pick it up more easily! I enjoyed my morning thanks to Yolanda. Excellent interaction with Kate (the tutor/instructor), small group so plenty of time to learn the skill. It was a fun three hours although at times frustrating . Kate put us all at ease and was very patient and skilled teacher . I would recommend this class to anyone who wants to start crocheting . Loved it Yolande is a great teacher always willing to help nothing is ever too much trouble. Great begginer's session. Great teacher!